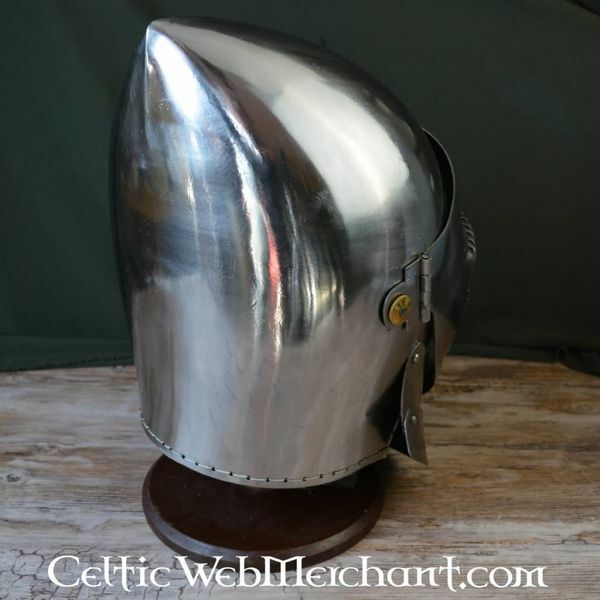 This medieval bascinet is a replica of an early 15th-late 14th century original. 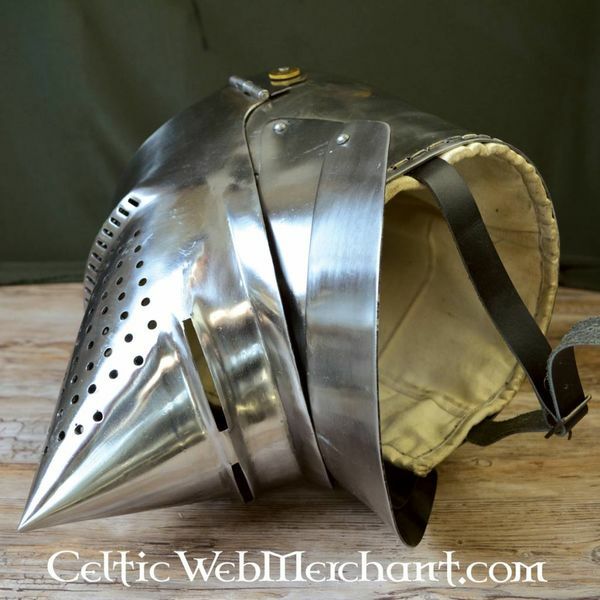 Bascinets like this were worn all over Europe during the 15th century. 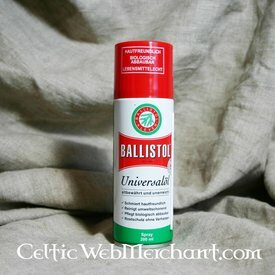 Originally this bascinet was made in Italy. 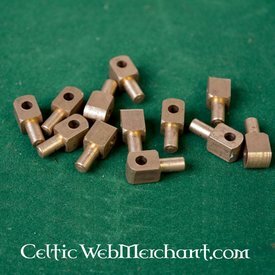 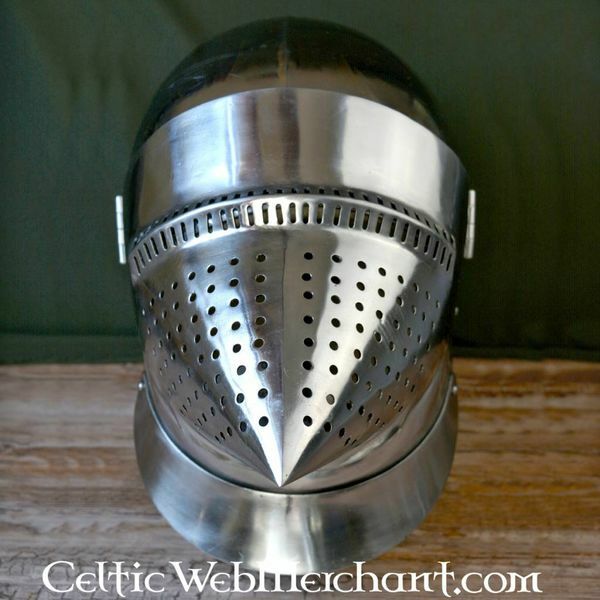 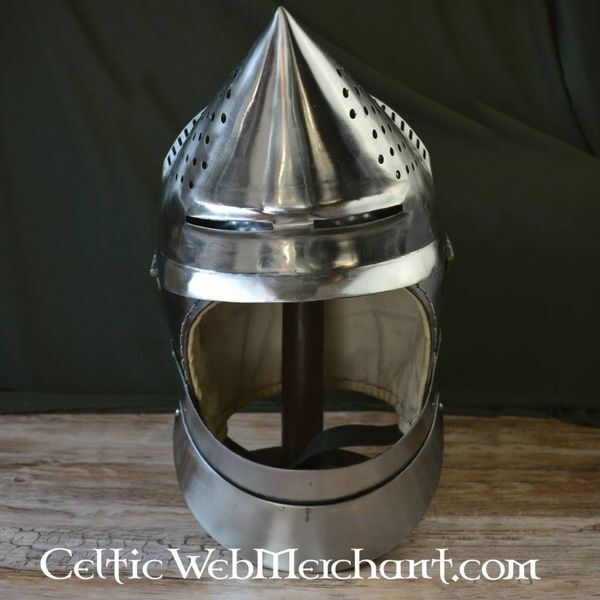 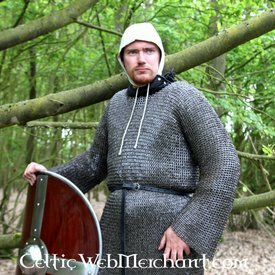 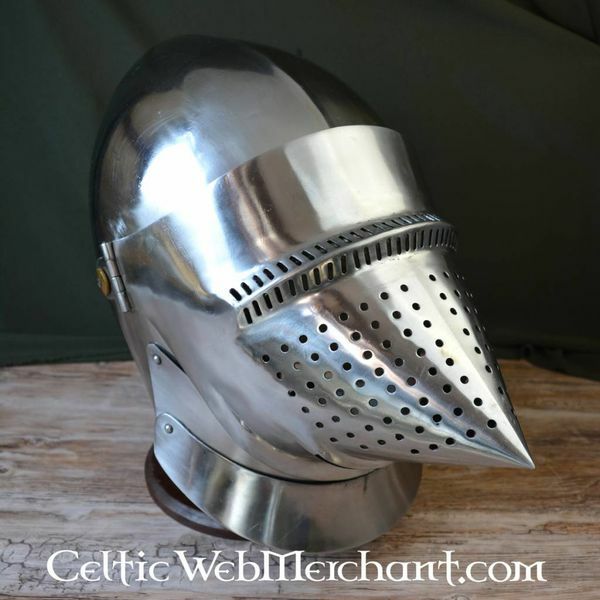 This luxurious hounskull bascinet has a moveable neck protection. 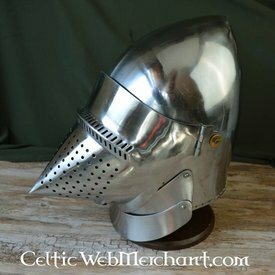 The visor is tapered to deflect blows. 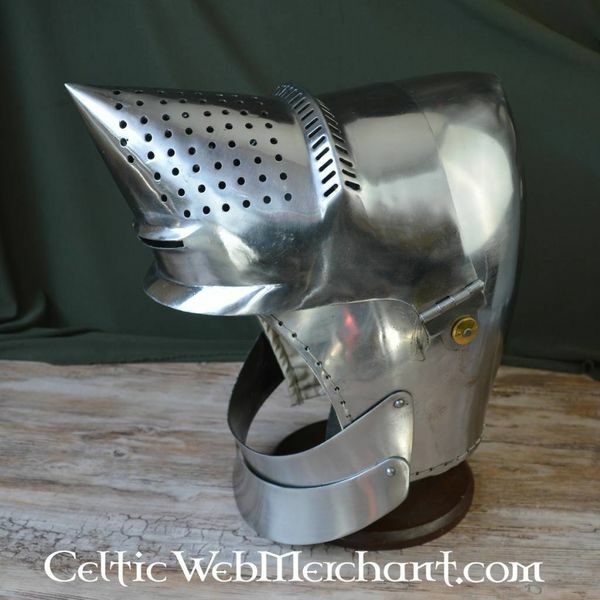 This bascinet can easily be provided with a suspension for an aventail. 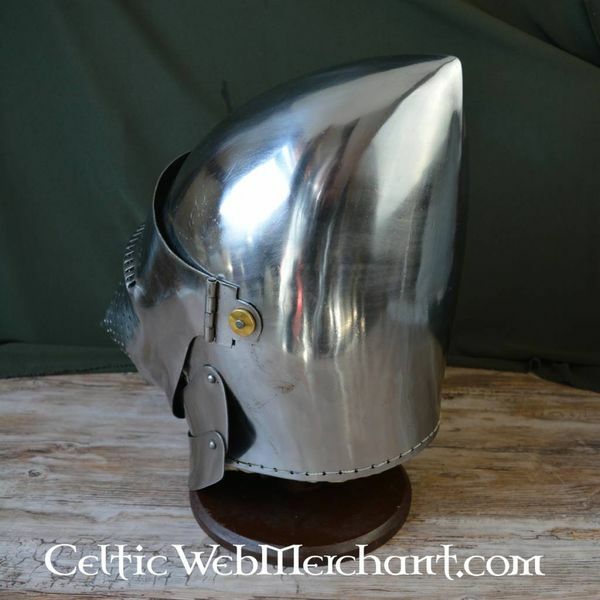 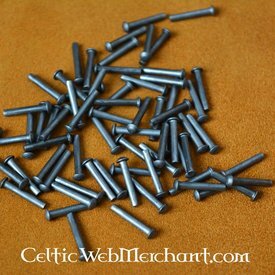 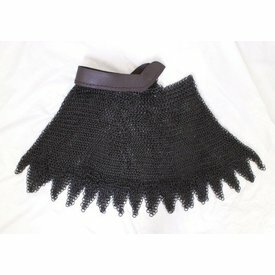 This battle-ready bascinet is made of 2 mm thick steel and has an adjustable leather inlay.